Ken Buck is a Tea Party conservative who came up short in his Senate race against Michael Bennet in 2010. Buck was considered the underdog in this year’s Senate race against Mark Udall, but he gave way to Cory Gardner, who’s a stronger candidate, and is now running in a crowded primary for Gardener’s 4th District seat. Buck is a strong conservative leader who’s tough on illegal immigration, strong on deficit spending and he’s comfortable with the Tea Party. The good news is that Buck is considered to be the favorite in the primary and the general election, so if you’re looking for a candidate who has a good chance to win, Buck’s your guy. On the other hand, if he were a lock, there wouldn’t be a point to endorsing him — so, it’s not a gimme race. Ken Buck could use your support and we here at Right Wing News believe he’s exactly the type of Republican we need in the House. 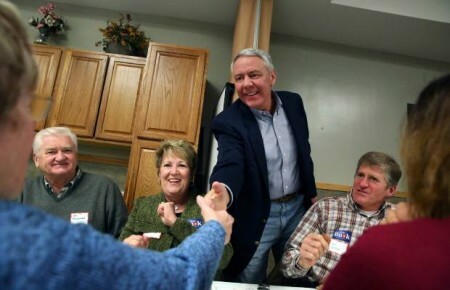 That’s why Right Wing News endorses Ken Buck in Colorado’s 4th District.